My childhood years were some of the best years of my life. Every day was an adventure. It sounds cliché, but it’s 100% true. I woke up every morning with a spring in my step and boundless energy and wondered what I would do that day. With no worries, beyond being “bored”, I had it so good and didn’t even know it! Hindsight is 20/20 as we all know. Some of my most prominent memories are outside connecting with nature. I spent my summers on our family boat visiting beaches on the Ottawa River. I built sand castles, swam with my cousins and sister and rode the waves on the biscuit behind the boat. I went fishing and even hooked my own worms to the surprise of my parents. I built forts in the woods behind our house with my neighbourhood friends. I rode my bike everywhere and stayed out as long as I could. When I heard my mom yell out the door for me, I knew it was time for me to come in. Life seemed simpler back then and I don’t think it’s just because of my age. A childhood of a kid in the 80s is drastically different to a kid of today. SO much has changed. It makes me sad in a way. Being outside in nature was a HUGE part of my childhood life. Kids today seem to be playing outside less and less and we have technology to blame. It’s too easy to pick up a tablet or game controller and sit for hours playing online with friends. I know I’m guilty of it too. I spend too much time indoors on my phone or laptop. It’s there and and it’s easy. 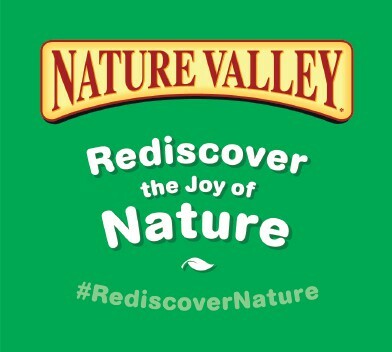 I’m so glad that Nature Valley is taking a stand with their new campaign to #RediscoverNature. 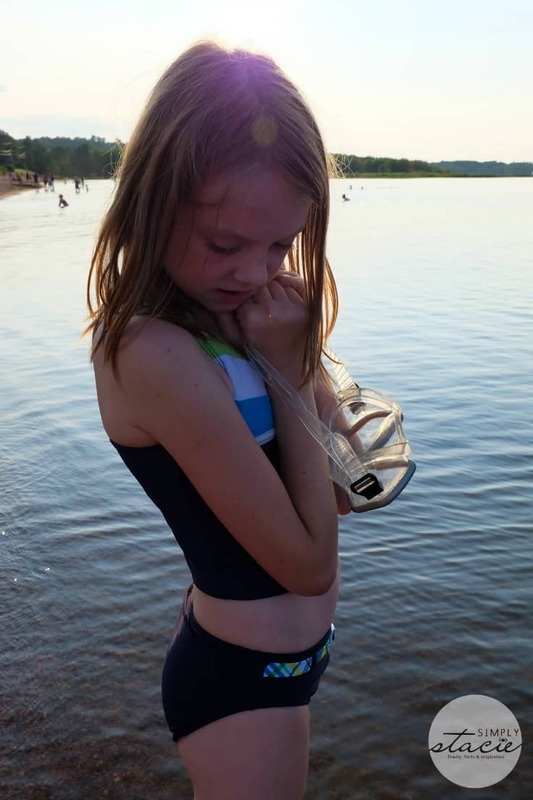 They are asking Canadian families to step away from their devices and go outside and make memories. Nature was a big part of many of our childhoods and the kids of today deserve that chance to have those lasting memories. You need to watch Nature Valley’s mini-documentary film where they ask three generations to share their favourite childhood memories. The answers gave me pause. I didn’t realize how much things have changed until it was specifically pointed out to me in this video. We watched the video together as a family and talked about memories. I shared several of mine and asked my daughter what she enjoyed doing the most. She listed several outdoor activities (yay! ), but also mentioned that she loves playing games on her iPad and computer. 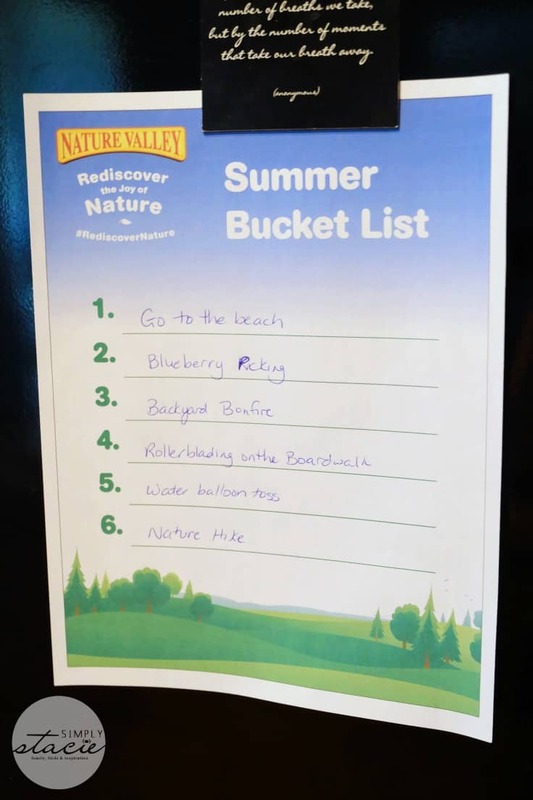 It sparked a conversation that led to us making our Summer Bucket List of activities we can do this summer outdoors in the beautiful weather. I’m pretty excited about this list and looking forward to these activities! 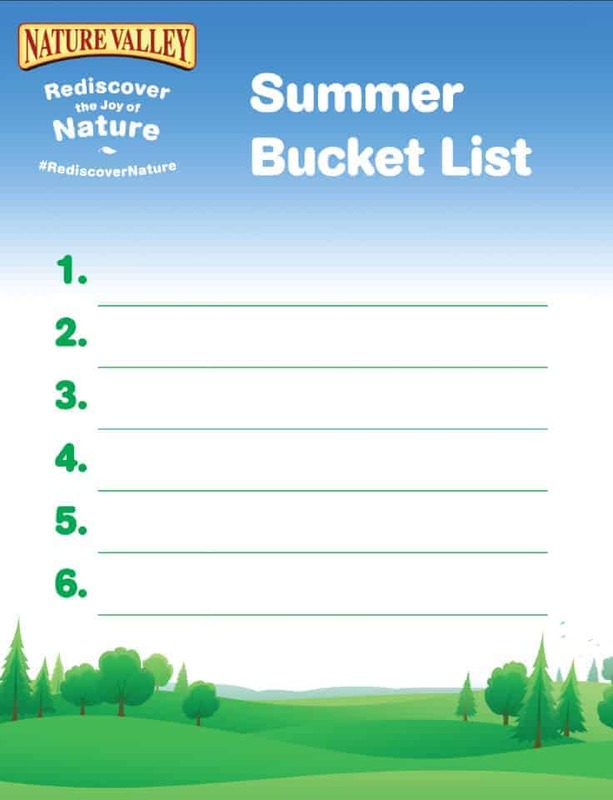 Here’s a peek at our Summer Bucket List. The list is on our fridge so we can work our way through the activities. I also have a free printable for you to make your own Summer Bucket List! Print it out and add some fun outdoor activities your kids (and you too if you like!) can do this summer. I’ll be sharing pictures as we cross off our Summer Bucket List on Facebook, Twitter and Instagram with the hashtag #RediscoverNature. Follow along and share some of your own photos of your family having fun outside! We had a bit of a head start this week on the list and spent a couple hours at a local beach. My daughter went swimming and I even went in the water too. Feeling the soft, squishy sand between my toes and the cool water grounded me. I came home feeling so relaxed and at ease. Bridget had a blast. We have plans to go back again this weekend! Want to join me and #RediscoverNature this summer? Put together your own Summer Bucket List. What kinds of activities would be on yours? 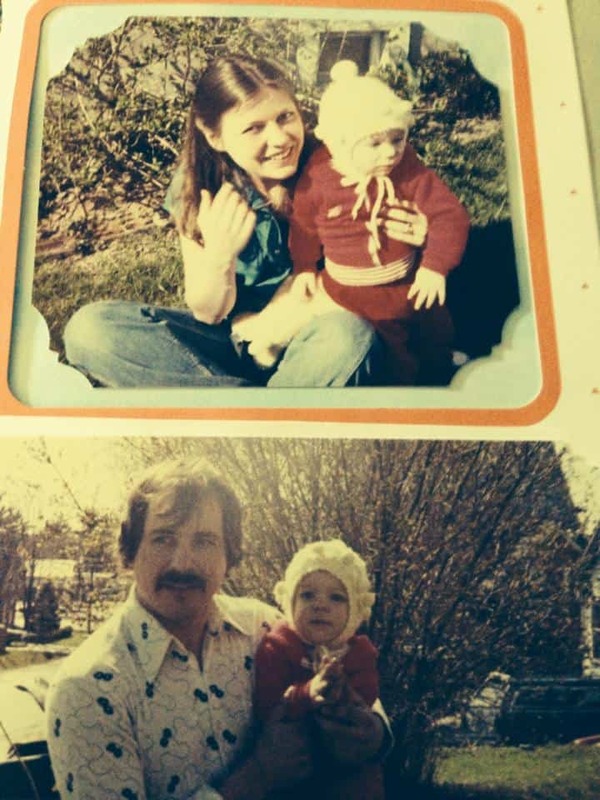 My childhood in the 1960s in Pennsylvania sounded like yours was 20 years later. We spent every waking moment outdoors, in the woods, building forts, riding bikes, and playing with the neighbor kids until our mom yelled out the back door. In the summer, we went back outside after dinner until it got dark. I would add catching fireflies, walking under a starlit sky, using a magnifying glass to see nature up close, and taking a walk in the woods. Enjoy completing your list! My childhood in England in the mid 50s to mid 60s was also very similar. We played outside all day long, either in the woods or on the street, there were always a bunch of us and we had so much fun (and exercise too). I must admit we also did daring things that we shouldn’t have done but we were kids and didn’t see the danger. Today children are in school then daycare. By the time they get back home there’s little time as then supper has to be eaten, baths taken, homework done etc etc. It’s not easy being a child these days, their time isn’t their won any more.